Supplier & Distributor of Storage Bunkers. Our product range also comprises of Coal Handling Plant, Food handling Conveyors and Roller Conveyor. 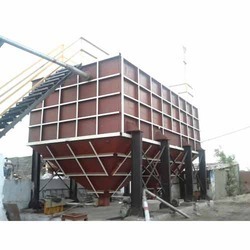 Our firm is engaged in providing a premier range of Industrial Storage Bunker and Coal Storage Bunker. These are offered in different capacities and can also be customized as per client requirements. Our technically adept team employs its in-depth knowledge to give an optimum design, construction and functionality to these bunkers. Looking for Storage Bunkers ?